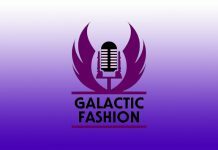 Galactic Fashion is a monthly podcast dedicated to Star Wars and geek fashion, hosted by Teresa Delgado and Christy Morris and part of the Jedi News Network. In episode 33, Teresa and Christy hit A LOT of news. Since the last time they recorded the Geek Fashion scene has exploded with so many new products. They discuss brands like Uttini Bikini, Sarsparilly, Kipling and of course Her Universe. In addition to the overwhelming amount of news Teresa reviews her Alex and Ani Pocahontas bracelet and her Mary Poppins Penguin purse from the Disney Dress Shop line. They end the episode with a fashion fact all about the new and upcoming world of Athleisure. This has been a hot button topic as many collections from lots of designers are fitting the trend of Athleisure. The girls had to find out exactly what it was and they discuss their insecurities and what has kept them from sporting this new fashion trend. Stay tuned all the way to the end for some bloopers and keep on listening because the girls actually came back and recorded another piece for the show! After venturing out into the world to find some items for themselves they discovered that the Han Solo collection by Her Universe appears to be in soft launch. To hear all about this SECRET collection that you can buy RIGHT NOW IN STORE ONLY you have to listen through until the end. We truly hope you enjoy this episode and we are currently building our community. Remember that you can see most of the stuff we talk about on our instagram feed as you listen to the show. Please go follow @galacticfashionpod on Instagram. Also we have started a Facebook group to talk all things fashion from opinions to reviews and even sizing. Head on over to this link to join the group. You do have to answer a couple of screening questions before we let you in. Please also send us emails we want to have a segment on the show where we can MAKE you a fashion star! Email us here. May the Force of Fashion Be With You. 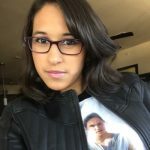 Teresa is a co-host of a number of podcasts including Disney Vault Talk, Fangirls Going Rogue, Star Wars Bookworks (with fellow Team Jedi News member Aaron Goins) and Galactic Fashion alongside Johnamarie Macias on the Jedi News Network.